Branding is something that consumers DO to your business however, by using the right “branding elements” – you can provide much needed “direction” in building that consumer perception. Since acquiring branding elements – like a logo, a website design, a facebook page or a twitter account – are all dirt cheap – what’s your excuse for not building a powerful brand? It’s not a question of whether you can get quality design from cheap (or free) apps and services. Sometimes you do, sometimes you don’t. The real question is a fundamental one: Do you have a strategy for what you’re creating? A logo does not equal a brand. A website does not equal a digital presence. A Facebook page does not equal an engaged community. A press release does not equal press coverage. I stand and salute Heath on everything he wrote with exception of the statement about strategy which I italicized. Here’s where we differ: I believe it’s possible for a business to fail in developing a distinct and authentic point of view despite having a sound strategy in place. I have seen companies fail to create compelling content and engaged communities even though they have developed a cohesive marketing strategy. Admittedly, more often than not – in cases where the company fails to connect on these “branding precepts” there is a gaping chasm where “insert marketing strategy statement” goes. Often times at start up – the passion of the founder “infects” the business at the cellular level. This infection leads to the distinct and authentic point of view which in turn leads effortlessly into created compelling content which has as its end result an engaged community. However, it’s the passion of the leader(s) – not the lack of marketing strategy – which lies at the root of this success. It’s possible to have a marketing strategy without passion – and it’s equally possible to have passion without a marketing strategy. 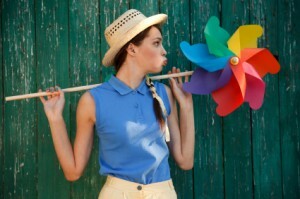 So if you have passion – do you really need a marketing strategy? In the end, I’d have to say strategy trumps passion every time. Combine the two – and you have a powerful force which will fuel the engine of your successful business. However, if someone held a gun to your head and forced you to choose just one of the two – choose strategy over passion every time. Why choose strategy over passion? Strategy plans for the obstacles ahead – the incessant, relentless obstacles that can quickly “drain” every ounce of passion from most hearty and enthusiastic of mortal beings. In the end, creating a cohesive marketing strategy is like creating an acrylic housing for the passion upon which you’ve founded your business. 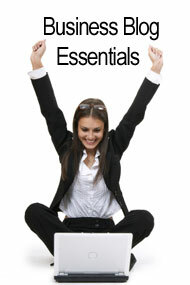 Not only can it protect your passion – it can also direct your “branding” efforts as well. It amuses me when people start talking to me about “branding” their business because often it’s portrayed like it’s something that the business owner “does” to his or her business. Oh nay nay – branding is something your CUSTOMERS DO TO your business. You may be able to exercise some control as you “guide” their hand as they wield the blazing hot iron rod and take aim – but your control of the entire “branding” process is limited because branding takes place entirely inside the mind of consumers. The Twilight movie saga is an exceptional example of how “branding” can go totally awry. When you saw “Twilight” reference above – did you wonder if I were “Team Edward” or “Team Jacob”? That my friends is an example of how consumers helped to craft a “brand” for the movie franchise – one that has attached itself to the movie franchise and inspired everything from t-shirts to SNL skits. However, there’s another side to this “branding love story” – a story of branding gone horribly awry. When it comes to what “team” I’m on – I’m on a third hereto undefined team – I’m on “Team Rifftrax”. If it weren’t for Rifftrax I would have never been able to sit through this insipid movie – let alone enjoy it as thoroughly. Watch the Rifftrax Twilight synopsis here. Thanks to the ruthless and brutal commentary provided by Mike, Bill and Kevin, I am truly a fan of RiffTrax and by extension – the Twilight saga. The RiffTrax brand is strong – very strong. Jedi mind power strong – oh don’t get me started – they’ve riffed the Star Wars saga as well. “We don’t make movies – we make them funny” is their branding statement and they follow through on that promise with surprising regularity. Which is where the whole “you’re not in control of your own branding” thing comes into play. I logged on to Kickstarter 22 hours after that email was sent and saw that $136,000 had already been pledged to the project, which is well in excess of the $55,000 original funding goal. On one hand – this is the story of a strong brand – RiffTrax – asking their “brand advocates” for support – and the enthusiastic response. How did this happen? Through five years of delivering on their branding statement – regular customer contact – and quite honestly – respect for their audience and customers. On the other hand (the Twilight end) – this is a story about “branding” gone horribly awry. Sure – millions of “fans” adored the movie when it was released- but the movie quickly found its way into the discount DVD bin at various superstores. Meanwhile there are obviously a much greater number of un-fans who dwell on the dark side behind our leaders (Mike, Bill and Kevin). The difference between the two is the Team RiffTrax crowd are brand enthusiasts – while the “Team Twilight” fans are a fickle bunch. 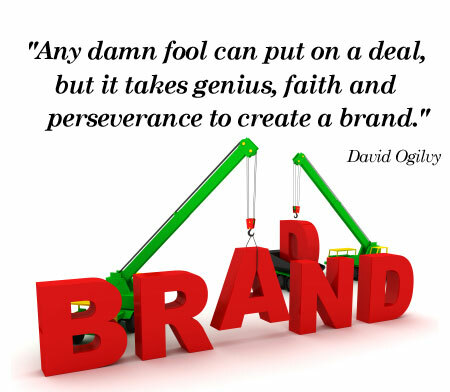 Building a brand takes years – not days – and is a never ending process for your business. For an example of a movie studio that has taken building their brand seriously, read about Pixar’s brand building activities in the days BEFORE they were a Disney property. The best way to build and control your branding message is to stay “on target” and deliver exceptional quality – unless you’re a movie studio and want your movie franchise to become the next target of team RiffTrax. 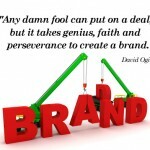 Branding is perhaps one of the most overused and misunderstood phrases of the last 50 years. At its essence – branding is the term we use to encapsulate how your business is perceived in the marketplace. Every decision you make, every action you or your employees take within your business all contribute to building your “brand”. This is why branding is so critical to the success of your business – and why branding is so much more than simply the colors of your website or the font used in your logo. Over at Fast Company, there’s an article featured which promises to show you how you can “build a brand like Bond” in just 7 easy steps. Ken Carbone does a great job of dissecting the Bond franchise and sharing the “secrets” to the brand’s success. He points out that the Bond brand is a work in process. As a matter of fact, the Bond “brand” has been providing direction for the film franchise since before the phrase became a marketing catch phrase. It’s one thing to look back and see all the things a company or film franchise has done “right” in hindsight – it’s another matter entirely to make the decisions on the fly which are necessary to build a truly successful brand. For a wonderful example of how “hard” those brand building decisions can be – take a look at another branding powerhouse in the film industry – Pixar. The history of the making of The Incredibles illustrates just how important branding is to the decisions you must make as you strive to build not only your business but also your brand. In the original DVD – the original “vision” of the movie was featured as part of the “added extras” which show a much darker, “adult” animated film. The original story boards showed a very different movie than the one released in theaters and was diametrically opposed to the carefully crafted Pixar brand. It’s my understanding that making the decision to go back and “rework” the film after production had begun was not only difficult but risky. Fortunately since Pixar’s management team fully understood their “brand” – they made a hard call to add significant expense to an already expensive process. Ah – there’s the rub. Building a brand requires making tough decisions and taking risks. The “right” call on behalf of the “brand” may not be the least expensive option in the short run. Branding isn’t about the short run – it’s about the long run. The Pixar management team clearly understood the Pixar brand – and as a result they made the right call when it came to the direction of the movie The Incredibles. Over the past half century, the various directors of the 23 Bond films have also had a clear vision of the Bond “brand” to guide their movie making decisions along the way. But what about your brand? Do you have a clear vision of your company’s brand? Even if you’re “just” a freelancer – are you making the hard decisions needed to build your brand over the next decade? It’s more than just telling a story – it’s telling the RIGHT story. It’s more than defining a visual style – it’s deciding upon the right style. Creating a powerful brand means having a vision of your business ten years from now and orchestrating everything you do today to accomplish that vision of a distant tomorrow. If this makes building your company’s brand sound more like planning an expedition to climb Mt. Everest than planning a picnic in the park – that’s good because it’s the truth. Climbing Mt. Everest is not only extremely difficult – it’s potentially life threatening. 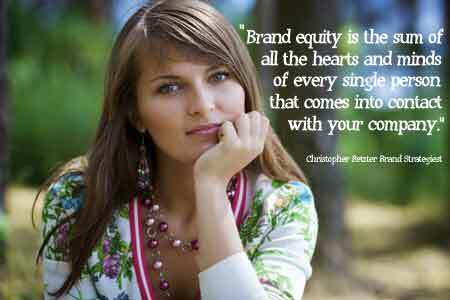 The same is true of your business’ branding. With the right guide – and the right vision – branding your business can not only be enjoyable – but profitable. If you’re looking for just such a guide – don’t look to me but instead look to my branding guru – Rosemary Davies-Janes. I’ve relied upon Rosemary for the better part of two decades to help guide my own branding efforts and when I learned that she was offering a free 3-Part Teleclass Series on branding, my first response was to ask if I could share that info here. If you’re a small business owner or a freelancer – the information Rosemary has to share about creating your own authentic personal brand is priceless. I encourage you to take advantage of this opportunity to learn from one of the best in the business.